I wasn’t nominated by one, but three people for this award! I want to thank all my lovely, unique (see what I did there) friends! So thank you to Ava @ Reads, Rhythms & Ruminations, Kate @ MeltingPotsAndOtherCalamities, and Sophie @ Blame It On Chocolate! I suggest you check all of their blogs out right now! They all specialize in anime and books! 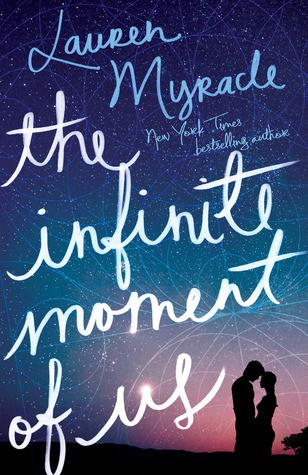 I pick on this book a lot, but The Infinite Moment of Us is my least favorite book of all time. I really like Ouran High School Host Club as a comedy manga and anime. However, if I had to choose one from each, I’d say Ouran for anime and Happy Cafe for manga. Think back one year; what books/TV shows/fandoms were you into, and are you still into them? Oh geez, it’s so hard to look back. I remember a few shows that I would watch, and that I grew out of. The only ones that I stuck with are Gravity Falls, Sherlock (of course), Over the Garden Wall, and Stitchers. Which books had a cover change that you liked? I like the cover change to Sarah J. Maas’s Throne of Glass, and also all the newer Cassandra Clare covers for TMI. What’s your favorite source of sugar? (Can be pastries, ice cream, candy…). Probably chocolate, preferably white or milk chocolate. Yes! It was a stuffed orange dog that I named Waggie. There’s a lot of history about him, and also how I came to get him. He’s still here with me, in the closet somewhere. Oh wow. This is hard. How about an endless supply of cash so that I could buy anything? Whew this one… oh wow, this is tough now. There’s so many songs to choose from! It’ll probably be a song from a soundtrack. However it’ll be a song that was plucked from the most intense and emotional scene from the TV show/movie. If you could have any book on your shelf signed, which book would it be? If you could turn any book into a film and have your dream cast, which book would it be and who would play the main roles? What books have been introduced to you by a friend that you enjoyed? Thanks for answering my questions! 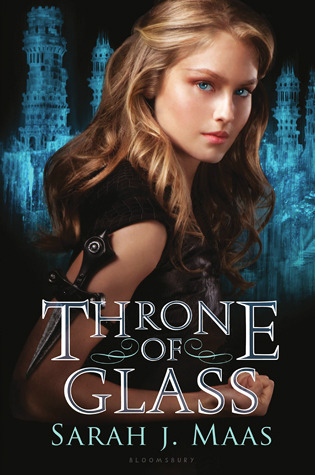 I’m not familiar with the Throne of Glass series, but the new cover does look cool! And I so agree with you on TMI; my school library has the original covers, and compared to the new ones, they’re…kinda cringey. And how can one go wrong with chocolate? I know! Whenever I look at the old covers at the library, I just think they made such a good call to change them. And chocolate is good. Can’t blame you there! You’re welcome, I’m looking forward to your post! Great post! Cassandra Clare’s world is mysterious and magnificent. Ouran Highschool Host Club is hilarious! Haven’t read the manga but I had fun watching the anime! Ouran is pretty funny. Congratulations on the nomination. And an endless supply of millions of $1000 bills would be good. I think I’d have to specify if a genie asked this question. Otherwise I could get and endless supply of $1 bills. Yess!! We’d be rolling in dough. Those were some great answers! I tried to make the questions super hard (not really, it kind of happened and I’m so sorry!) but you, ma’am, passed with flying colors XD Especially the money one – go you! Waggie sounds adorable and the keeper of many secrets. Hmm. I really prefer the new ToG covers. The fact that Celaena looks way too photoshopped to look like a real person in the old one just ruins it for me. Yay! I passed! I found a loophole with the money answer, lol. And I love chocolate, your blog looks tasty. 😄 Waggie certainly has many secrets, I just don’t know them. Also I agree with the photoshop-looking TOG covers, I wonder if SJMaas changed the covers for the rest of the series yet. I’m not sure if we’re referring to the same covers, though, because the one in this post is the old one? The new ones have the cartoon-looking, silver haired girl in them (and are the ones I like better). Unless I’m wrong and this makes absolutely no sense hahaha But I’m almost positive the one with the model on the cover is the old one. Oh that’s fine, my notifications are buggy too. Especially on the app. That’s why I prefer going on the computer. And I thought the model was the newer one, oops. O.o Thanks for telling me though! 😄 The app is good for scrolling through the reader or for brainstorming posts, but I have to go on my browser or the computer to reply to people. And I rely on my emails too.